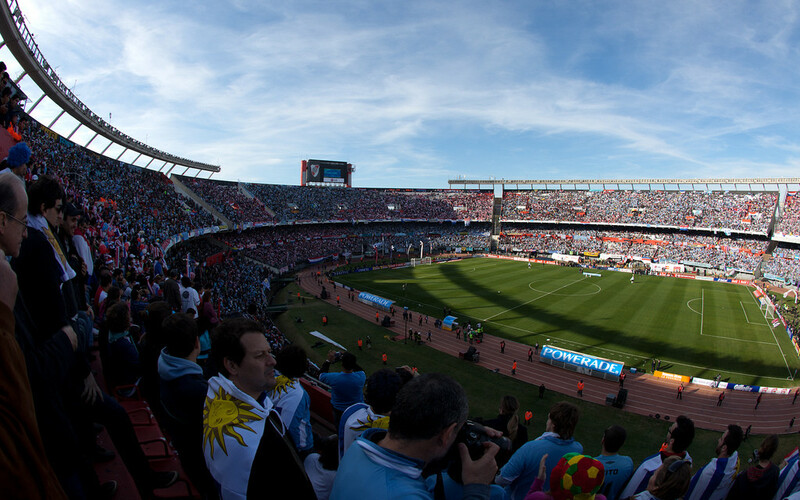 Buenos Aires offers one of the best football experiences in the world. 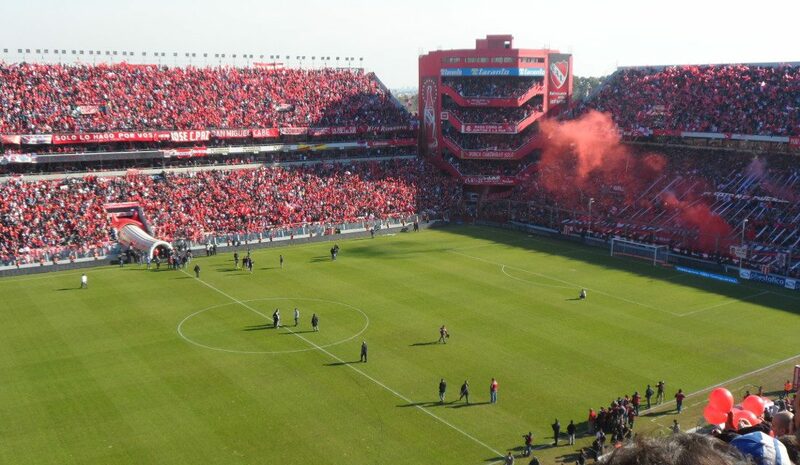 From the world famous Boca Juniors and River Plate to the tens of smaller clubs dispersed around the metropolis’ suburbs, but most of all it is the incredible passion of the fans that makes attending a football match in Buenos Aires an experience you won’t quickly forget. Buenos Aires has long dominated the Argentina football leagues, and while more provincial clubs have broken into the top tier in recent years, Buenos Aires clubs still make up at least half of all clubs and have a strong hold on the top league positions. Buenos Aires two top dogs are, of course, Boca and River, who contest the Superclasico twice a year, and ask any random Argentine who they support, and chances are at least 50% that it is one of those two. Racing, Independiente, and San Lorenzo make up the rest of Argentina’s Big Five and have large followings, but below the big five support is mostly local and average crowds drop. That does, of course, not mean that any match not involving the Big Five is not worth attending as the barra bravas and fans behind the goal tend to put on a show regardless. 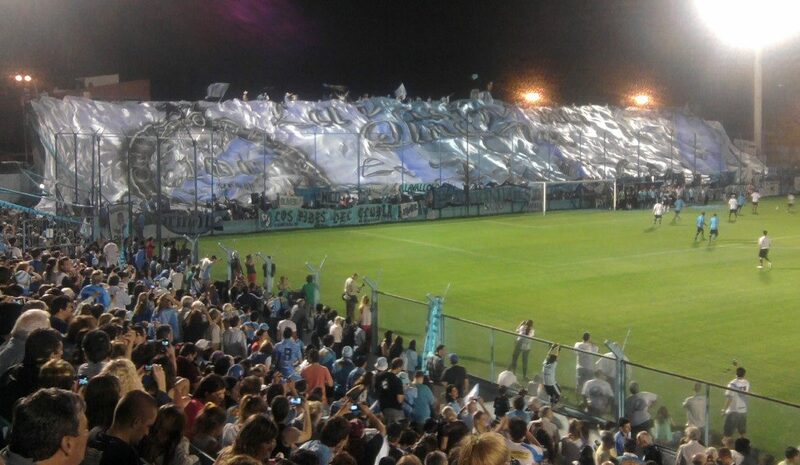 This is, of course, also what makes attending an Argentine football match so special: the passion of the fans. When looking at the Buenos Aires football map, a few things stand out. 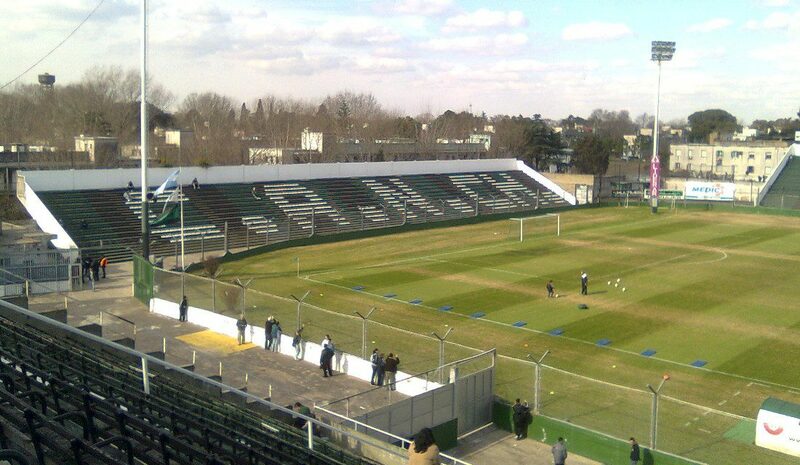 The first is that none of Buenos Aires’ stadiums are located particularly central, perhaps with La Bombonera as the exception. Few are also on the city’s metro network, which means that navigating the city’s commuter rail network, and most of all the bus (colectivo) system, is essential, though taxis of course are an easier alternative. What also stands out is that there is a certain clustering of stadiums around the city. 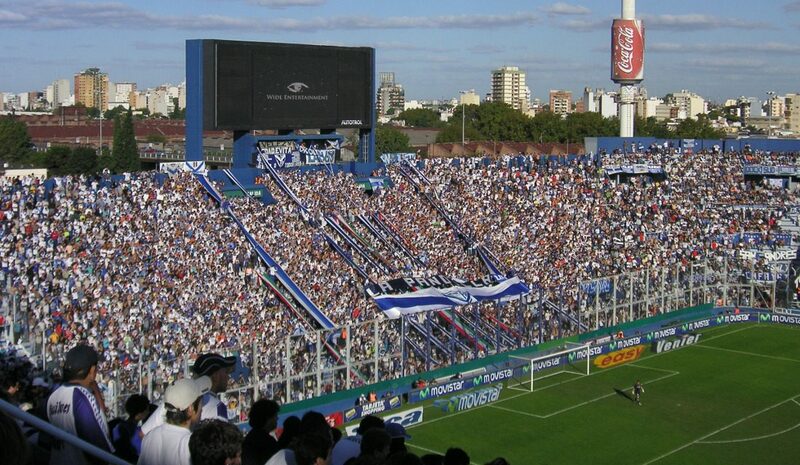 Within the proper Buenos Aires city limits, called Capital Federal by the locals, most stadiums are located in the western and southern parts, with the exception of River’s El Monumental. 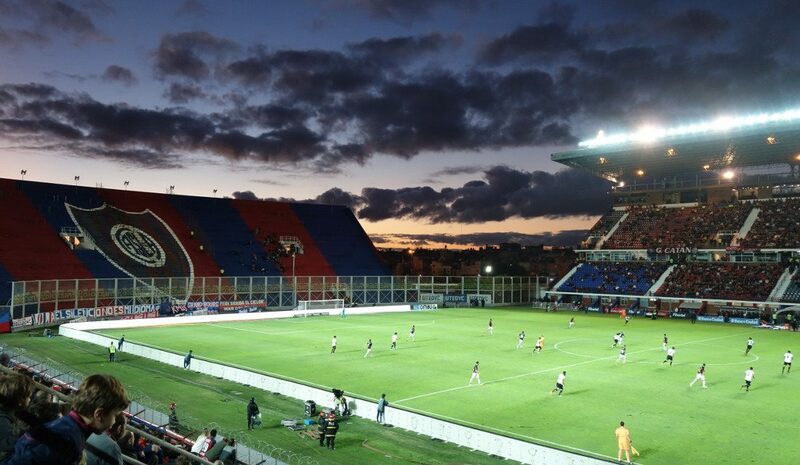 These include Velez’ Estadio Jose Amalfitani and San Lorenzo’s Estadio Pedro Bidegain. 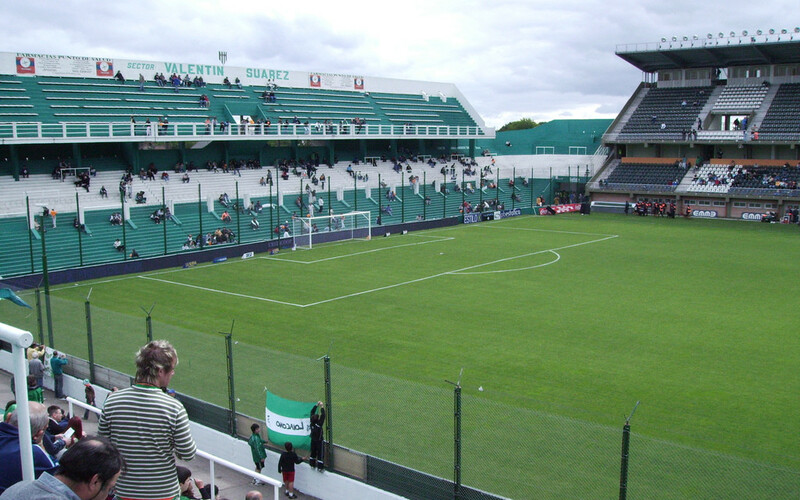 Moving to Greater Buenos Aires, called Provincia by the locals, there is a clear cluster of stadiums in the south starting with Racing’s El Cilindro and Independiente’s Estadio Libertadores de America in the suburb of Avellaneda just south of Capital Federal, leading further south toward the homes of the likes of Lanus and Banfield. 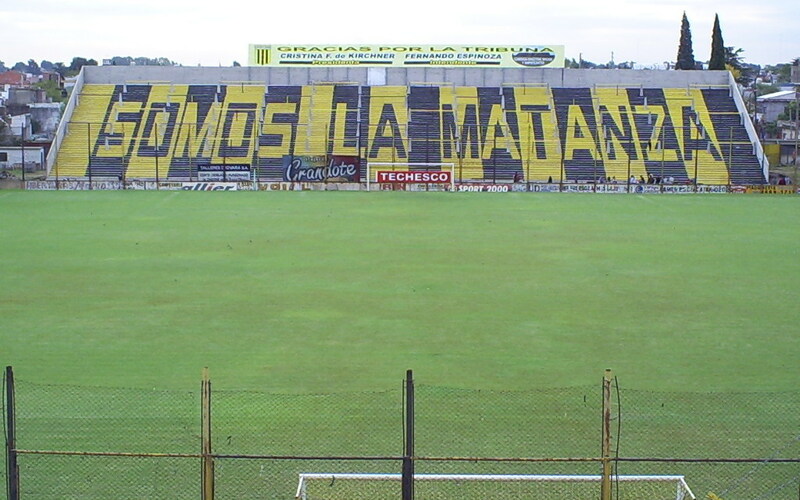 Buenos Aires’ vast north and northwestern suburbs are oddly unrepresented with the exception of Tigres’ Coliseo. 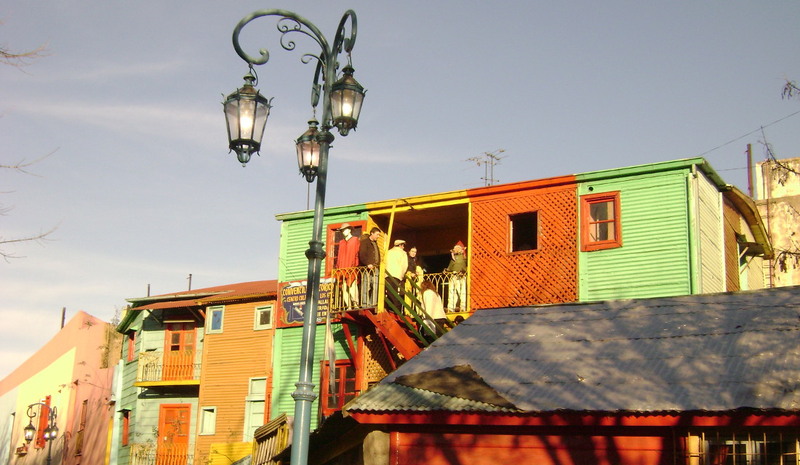 There is not much beyond the Buenos Aires metropolitan area as Argentina’s pampa is relatively lightly populated. 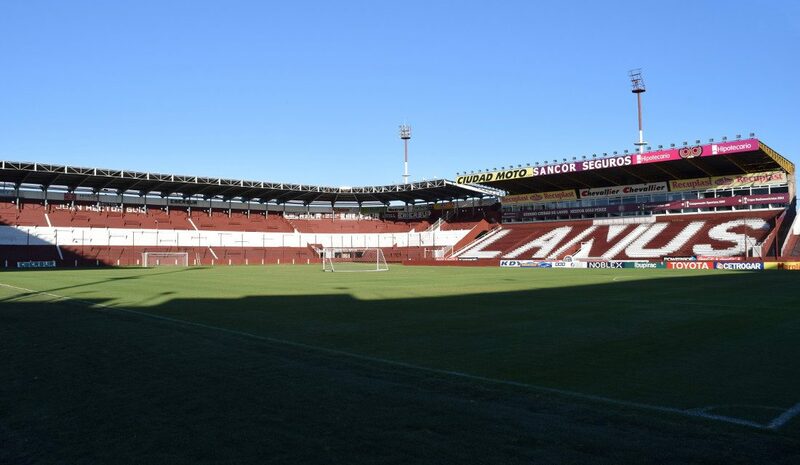 There is one exception though: the city of La Plata, which has two established clubs in the form of Estudiantes and Gimnasia, though it’s just a short journey away from Buenos Aires. Getting around Buenos Aires is a bit of a task for a first-time visitor. The metro (subte) system is, of course, relatively easy to navigate, but unfortunately few stadiums are on the metro. Huracan’s Estadio Tomas A. Duco and Ferro Carril’s Estadio Ricardo Etcheverry are exceptions, and El Monumental and La Bombonera can be reached by metro and a bit of a walk, but that’s about it. Otherwise, you’ll have to find your way using Buenos Aires’ commuter rail network, and, most of all, the city’s buses, the colectivos. There are various journey planners that can point you to the right colectivo, including Omnilineas, Viaja-facil, Comoviajo and Comollego. There are local printed guides with all colectivo lines as well, but often it works easiest to ask a local. Buenos Aires’ commuter rail network is of debatable quality, but is a relatively efficient way to get you to the suburbs that are further out. Trains also reach La Plata, though most prefer to take a coach from Retiro coach station. 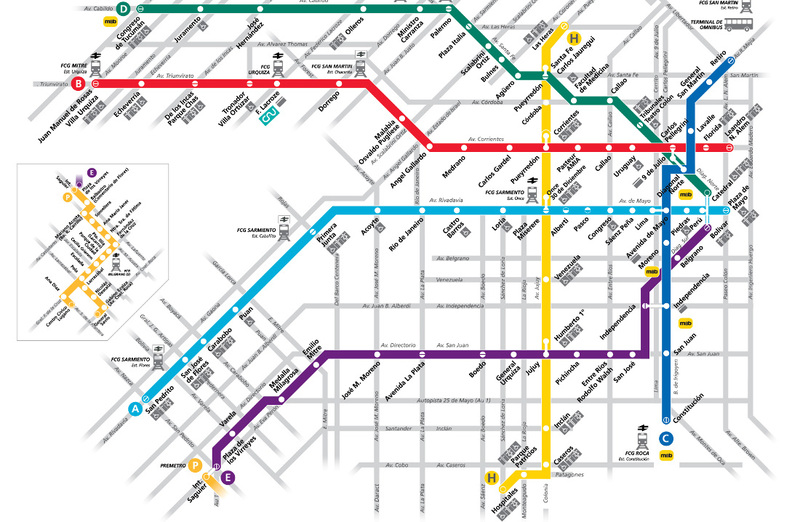 Below Buenos Aires’ metro map. Click here for a map of the rail network. There are two airports in Buenos Aires: the large international Ezeiza Airport and the smaller Aeroparque Jorge Newberry with service from and to the southern parts of South America. There are two big advantages of arriving at the smaller Aeroparque: it is located much closer to the city and upon approach you will have a magnificent view over El Monumental (sit on the right). Visitors to Buenos Aires tend to either stay in the northern affluent areas in and around Palermo and Recoleta, or in the older but charming San Telmo area south of Buenos Aires’ Microcentro. The Microcentro itself, while lively during the day, dies out quickly when shops and offices close for the night. 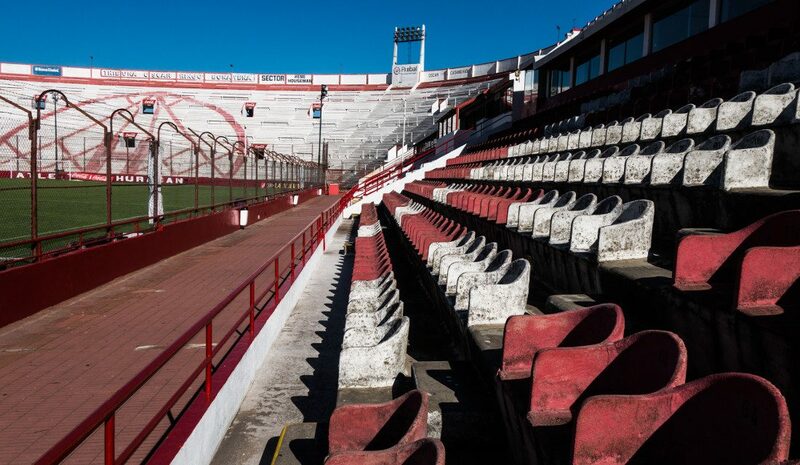 Buenos Aires has many charming neighbourhoods elsewhere that might appeal to visitors that want to get away from the tourist spots, however Buenos Aires’ stadiums are rarely in those areas. San Telmo is located at walking distance from La Bombonera (though La Boca still has some rough edges so staying there is better avoided), while the Belgrano area not too far away from El Monumental boasts a few decent hotels too. 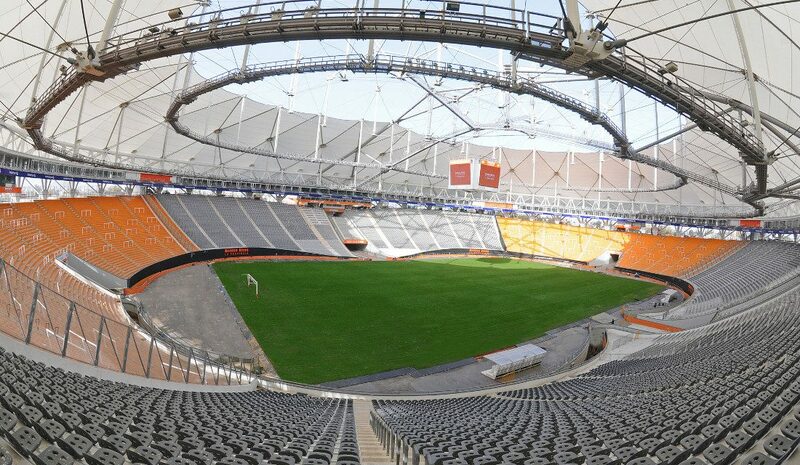 Otherwise, it’s best to pick a hotel in a pleasant area and make your way to the stadium by public transport or taxi. Plaza Constitucion station is a hub through which many of the southern stadiums can be reached, however the area is not one of Buenos Aires’ safest so it’s better to stay elsewhere. 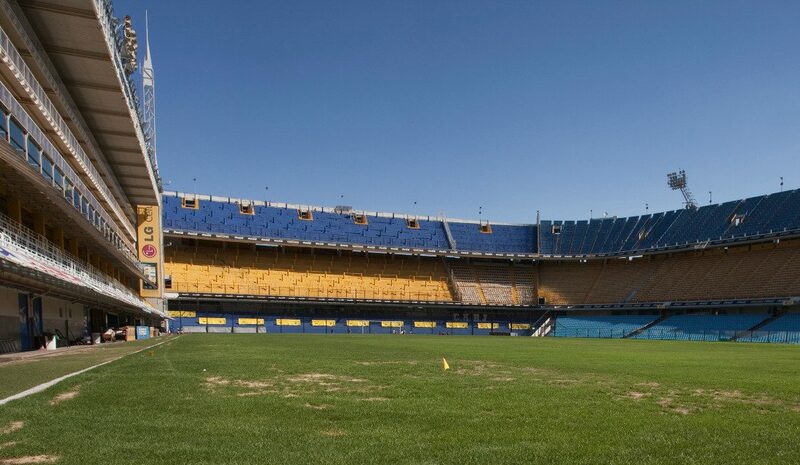 Your first aim will likely be to catch Boca at La Bombonera. Unfortunately, the club has restricted the public sale of tickets which means you’ll be forced to join one of the many tour groups that have access to tickets. Of course, expect to pay a large premium. River has also largely restricted sales to club members, but tickets do go on sale for non-members if they remain available, which is at times the case against low-profile opponents. Getting tickets for most other clubs tends to be easier, perhaps save for the local derby or when Boca or River comes to visit. 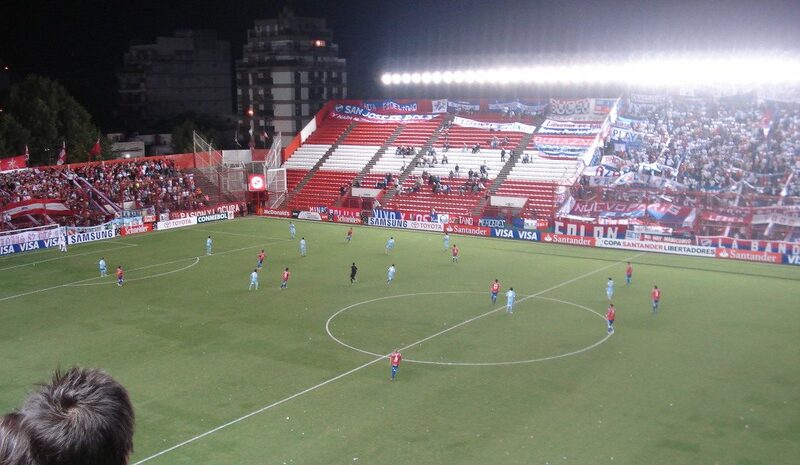 No club sells out on a regular basis though, of course partly due to the relatively large size of Argentine stadiums. However, logistically, buying in advance can be a bit of a challenge. Buying tickets online does not exist in Argentina so tickets will always have to be bought in person. Tickets generally go on sale in the days before the match, typically two days in advance, but sometimes even less. Tickets are usually available at the ticket windows of the stadium, or at a club office either at the stadium or elsewhere, but rarely central. There are a few exceptions though, e.g. 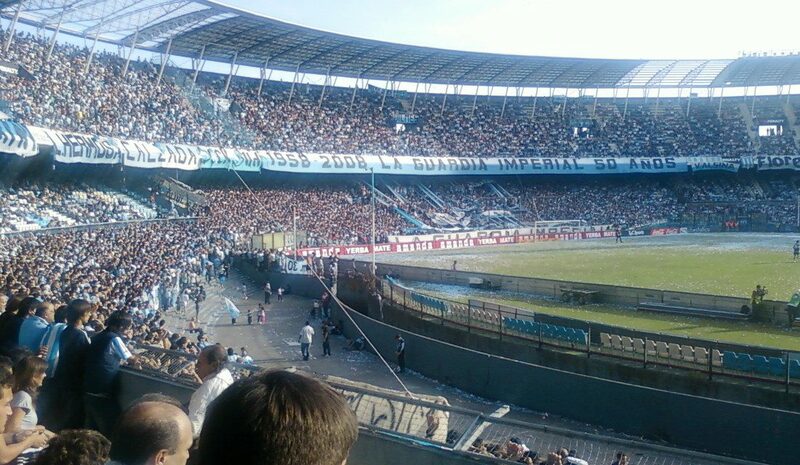 Racing, that sell tickets at a more central club store or office. In most cases though, tickets can also be bought at the ticket windows of the stadium before the start of the match so long journeys on the day before the match can generally be avoided by just showing up and buying on the gate.